Peyton List will be meeting fans at an event in Alabama November 2, 2013. Meet Emma of Disney’s Jessie at the Von Maur grand opening celebration at the Riverchase Galleria. Von Maurs grand opening will be Nov. 2 with a ribbon cutting at 9:45 a.m. on the first floor mall entrance. 12 p.m. to 2:30 p.m. personal appearance from Disney’s Peyton List ‘Emma’ from Disney’s Jessie. There will be a shopping spree giveaway, gifts with purchase , music and stuff for the kids to enjoy. It’s always a good idea to a show up early to events like this and find the line. Show Peyton what a big fan you are and design t-shirts or make posters! Kylie and Kendall Jenner will be meeting fans at PacSun located in the Glendale Galleria on November 9, 2013. The first 500 fans who arrive will receive wristbands. Fans can meet the girls. No information on whether fans will get autographs or be able to take pics. The store opens at 10:00 and the meet and greet starts at 11 so go early! The “Kendall & Kylie” collection embodies the casual-yet-chic sensibility of the Jenner sisters. Born and raised in California, Kendall and Kylie Jenner’s finely-tuned sense of style is distinctly inspired by the diversity, optimism and creativity of the Golden State. Their exclusive collection for PacSun brings through that California spirit in the complete collection which ranges from outerwear to accessories. 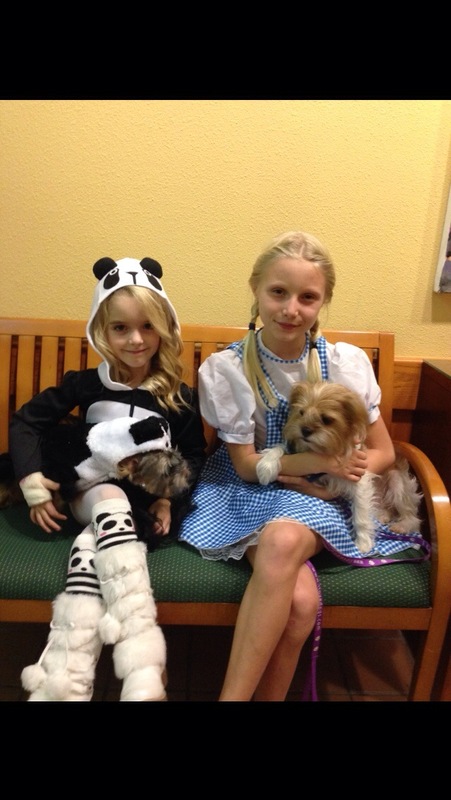 McKenna Grace from Disney XD’s Crash and Bernstein came out to show her support for dog rescue Charity Angels In Fur at their 5th Annual Raise The Woof Halloween event. The event was in Pasadena on October 26, 2013. McKenna loves dogs and wants to help all unwanted dogs find fur ever homes! 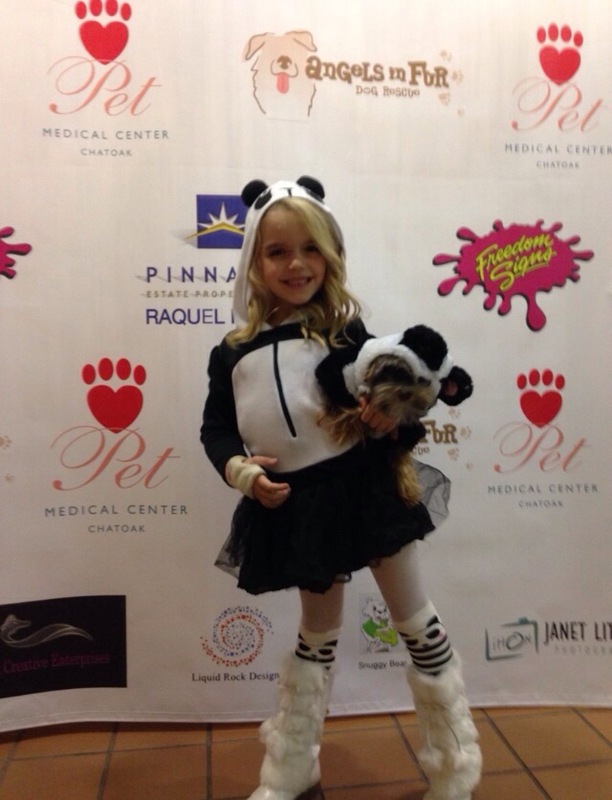 She and her dog Marshmallow arrived in Matching Panda Costumes! They entered the costume contest, checked out the raffle and auction items and had some yummy food! McKenna met a few fans who recognized her from her roles on Young and the Restless and Crash and Bernstein. She was interviewed and talked about her love for dogs! Little Mckenna had a great night seeing so many happy dogs! It was so sweet of McKenna and her mom to come and to support this great charity! Pitbull, Enrique Iglesias, Macklemore & Ryan Lewis, Zendaya, Austin Mahone and Jason Derulo light up the stage at 99.7 [NOW!] 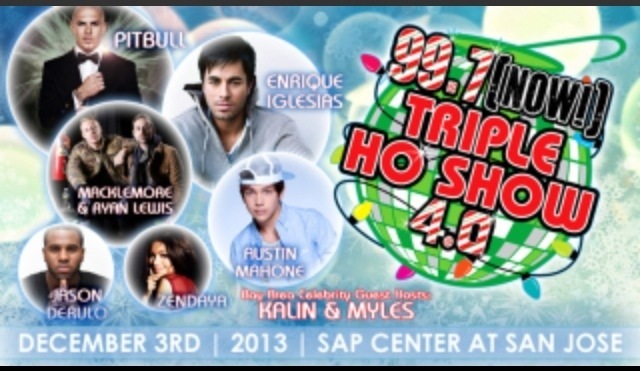 TRIPLE HO SHOW 4.0, Tuesday December 3rd at SAP Center (formerly HP Pavilion) at San Jose. Tickets can be bought on TicketMaster or won by listening to 997Now and winning them. Multi-talented actress and Hollywood Records Recording Artist, Zendaya, stars as Raquel “Rocky” Blue, one half of the comedic duo of young dancers trying to dance her way to stardom, in the hit Disney Channel series “Shake It Up!” She is the break out star on Season 16 of ABC’s Dancing with the Stars. Macy Kate and IM5 Band are performing at a free Radio Disney event in Michigan November 22, 2013. Lansing is about to rock your holidays! See “IM5” live in concert at Silver Bells in the City, hosted by Radio Disney and Citizens Insurance – with special opening act Macy Kate. Radio Disney gets the party started just after 5:00pm from the Capitol Steps. Be ready to play hard and win big, powered by Citizens Insurance. Then we hit the lights…millions of them…during the Electric Light Parade and lighting of the State Christmas tree on the Capitol lawn…then FIREWORKS! All this followed-up by “IM5”, live in concert! Now that’s how you start the holidays…with Radio Disney and our friends from Citizens Insurance! Zendaya will be performing at this event in Texas on November 10. Tickets for the festival are on Ticketmaster for $12.25. Come out to the Cynthia Woods Mitchell Pavilion’s 18th Annual Children’s Festival Sunday, November 10th from 12:00pm-5:00pm! You don’t want to miss out on everything the Children’s Festival has to offer! Head over to Arts Alley where you can unleash your inner artist and create your own masterpieces! Then, check out the Activity Tent for a petting zoo, coloring contest and even a fashion show! But don’t miss out on some of the many performances happening on the Pepsi Main Stage including one by Zendaya at 2:00pm! Keep listening to Radio Disney to find out how you can meet and greet Zendaya. Disney Channel’s “Jessie” star Debby Ryan Meet and Greet at Navy Pier! Sunday, November 24th, you could meet Debby Ryan, star of Disney Channel’s “Jessie” from 2:00pm-4:00pm. The Radio Disney Road Crew starts the party at 1:00pm. Stay to see the front of Navy Pier come to life in the Light Show spectacle afterwards! You must have a wristband to meet this Disney Channel Star Debby Ryan. Wristband distribution starts at 11:00am at Navy Pier. One wristband per person, while supplies last, must be present to receive wristband. Talent can only meet as many fans as time allows. Event subject to delay, change or cancellation. Grab your pals and plan on going!! Make a poster or decorate t-shirts so Debby will know what a huge fan you are.